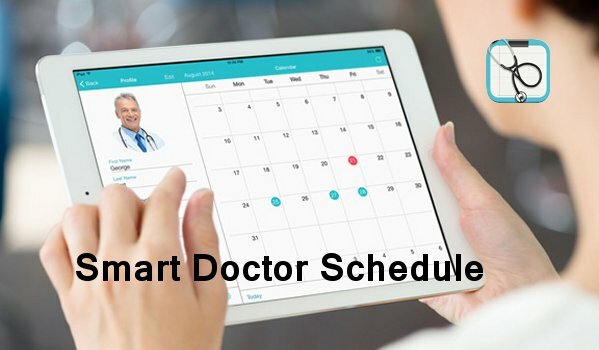 Today we are going to cover 2 apps: SmartDoctor Schedule and SmartPatient Schedule. Both apps are available for free for on the Google Play Store and both are from Patronus IT. The premise behind these apps is to help doctors and patients get rid of scheduling conflicts and confusion. This is a new app so it is growing but does have potential. Overall the interface on both apps is clean and easy to use. There are not a lot of “moving parts” but you do not need them. Your job is to connect with your doctor and setup an appointment. The app makes it simple to keep track of your appointments. For a quick look, check out this video from the developer. I see potential in this app/service. I especially think smaller doctor offices or individual practices would find this app/service helpful. Because this is really a service and a new one at that, I thought it would be best to ask the developer some questions, to help shed some light on everything. Here is what we have. Q. Can you tell us a little about your company? Patronus IT LLC is a new, developing company; our current project Smart Scheduling is only 4 month old. Q.Can you briefly explain how this all works? 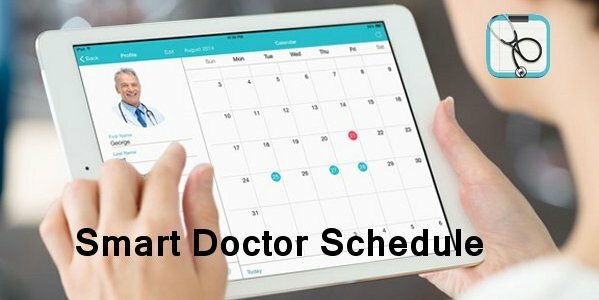 First the doctor will setup his profile (country, city, address, specialty, picture, and schedule) in the Smart Doctor Schedule application. This way patients will be able to search for them. Patients will then set up their profile (first name, last name, e-mail, insurance number, phone) in the patient app. Since we sync the two, patients will be able to search and find any doctors they need. When the patient makes an appointment , both they and the doctor will get a notifications and have it placed on their calendar. Now the doctor will be able to list all patients and their profile, right down notes, attach photos etc. Patients can also cancel an appointment through the app. There is also an archive feature which shows all past appointments. Q. What made you decide to create this app/service? After my last doctor’s appointment- watching him write down appointments and notes in his diary, gave me the idea of trying to make it electronic and thus more portal and easier to manage. Q. For this to work for patients, their doctor needs to have this service also correct? Q. How many doctors do you have using this service now? We have just released the app but only after a few days had over 500 doctors register. Currently most physicians are located in Europe but we have some in the USA and Canada. Q. Why should doctors use this service vs other online appointment services? We think our app/service is much more convenient and easier to use. We have had many physicians try the app and have gotten positive feedback. Q. With doctors being so busy,do you think they would actually use something like this vs. their nurse or office staff? One of key features of the app is that the doctor can use app on one device, while his nurse or staff use it on another. So the nurse could enter the information in and then the doctor can see his appointments right on his phone. Q. From a patient’s point of view I really see this app being very useful, but if they are dependent on getting doctors involved, that could pose a problem. There a lot of apps currently available for doctors, but their is no application like ours- it is so fast and simple. Currently the service for all doctors is free and it will be for a long time. For patients it is a free app. Even if doctors needed to pay a monthly fee, ti would be 5-10 times cheaper then others service. A couple of notes: The app is currently free to doctors until 2015, then there will be a yearly fee. The apps are also available for iOS devices. Well there you have. Pretty cool service. If you have given it a try, let us know; also if you are a doctor let us know what you think. Thanks to Patronus IT for taking the time to talk.